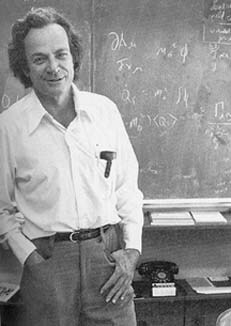 While I was on holiday, I immersed myself a bit more in the Feynman universe. And I must say – the combination of simmering French sun, lazy poolside-lounging and Feynman’s scientific and philosophical subjects worked surprisingly well. The result was like a tasty cocktail – the kind that gives you a light buzz in the head and that leaves you wanting for more. It strikes me how relevant this out-of-context quote still is after almost fifty years. So, we need more discussions in our line of work – they’re a surefire way to advancing the testing craft. True, there’s plenty of discussions and controversies within testing already – the different schools of testing come to mind. But what I feel lacking sometimes, is a desire to understand where the “other side” is coming from. Why are they thinking the way they think? What are their beliefs and motives? Can we prove their beliefs to be false?